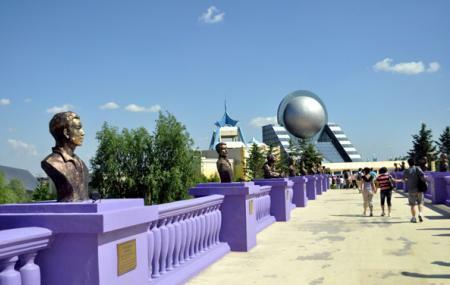 One of the first film based theme parks in the world Changchun Film City brings together entertainment and tourism as it caters to visual, aural and experiential senses of the people. Built and funded by the Changchun film studio the place is equipped with high end cinema technology that offers highlights like 4D Cinema, Water curtain stereoscopic Cinema, Laser levitation and IMAX Cinema. These various kinds of visual entertainment capture and fire the imagination of the viewer. Along with them the theme based recreational highlights are Dense Forest Castles, Yin and Yang House, Suspending Palace, Flying Dragon Palace, Crystal Mountain, Hero Square, Wonderland, Milky River Palace, Naughty Castle, Mysterious Ancient Tree, Blessing Spring, Happy Island and many more. CNY 198: Per person from November 1st to March 31st . 50% off after 5.00 pm. Half-price tickets on designated days and on Tuesday excluding holidays. By Bus: Lines: 120, 160 and 102. How popular is Changchun Film City? People normally club together Changchun Geological Palace Museum and Changchun Sports Center while planning their visit to Changchun Film City.